The view over Sydney from Bridgeclimb. 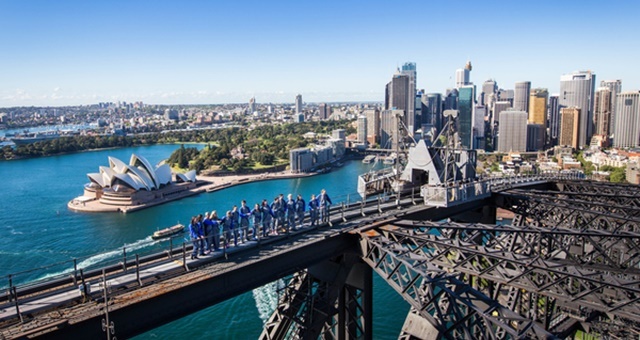 The NSW Government’s tourism and major events agency, Destination NSW, has joined The Association of Australian Convention Bureaux (AACB) . “We commend Destination NSW for developing the NSW Regional Conferencing Strategy and Action Plan and are pleased to welcome another part of regional Australia to the ranks of AACB,” said Andrew Hiebl, CEO of the AACB. The AACB advocates on behalf of over 1700 industry operators and stakeholders. The $6 million NSW Regional Conferencing Strategy & Action Plan was released by the NSW Minister for Tourism and Major Events Adam Marshall in August 2017 and aims to drive more business events and visitors to rural and regional NSW.